When societies discuss cryptocurrencies, the argument that the decentralized and unregulated nature of the crypto space leaves the door open to abuse, like money laundering and financial fraud, is often put forward by officials and authorities. 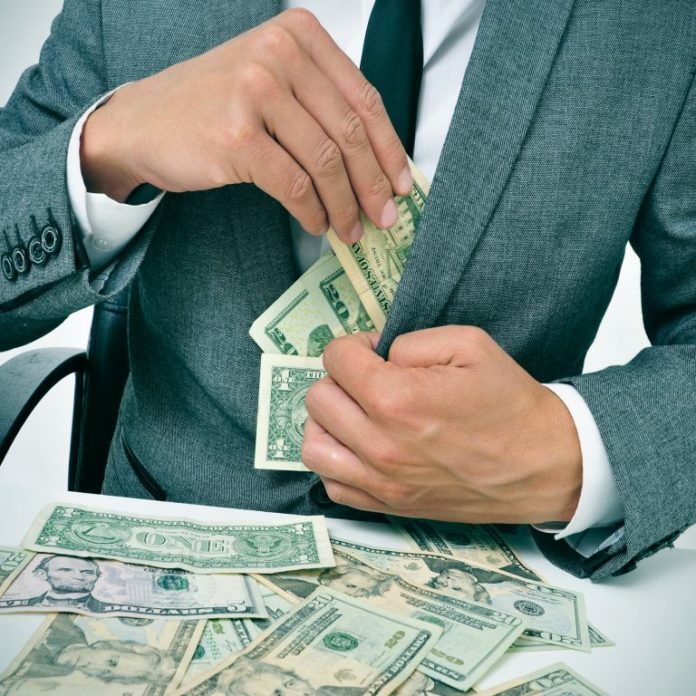 However, a string of cases involving precisely these sins, and many, many banks, show that regulations are largely ineffective in preventing this type of violations, especially when they are committed by the big traditional players. Affairs, probes, fines, resignations – over the past weeks, we’ve often seen these words in headlines, right next to some of the most recognizable names in the financial industry, including ING Group, Danske Bank, Citigroup and Deutsche Bank. The rush to apply the same ‘anti-what-not’ policies to the much better in this respect crypto sector, the same old practices that have failed time and again with the status quo banks, is beyond comprehension. After the Netherlands, Denmark, the US, Russia and some former Soviet states like Estonia, it was time that Switzerland came into the spotlight. Local media have quoted the country’s financial watchdog stating that Zurich-based Credit Suisse has failed to meet its legal obligations to prevent money laundering. The Swiss bank has been implicated for misconduct in alleged corruption cases involving the international football governing body, FIFA, the oil companies of Brazil and Venezuela, Petrobras and PDVSA, as well as a business relationship with a “politically exposed person”, Swiss Info reported. The Swiss Financial Market Supervisory Authority (FINMA) explained it had identified deficiencies in the bank’s anti-money laundering (AML) process and shortcomings in the applied control mechanisms and risk management. The regulator has taken measures to improve the bank’s AML procedures and intends to engage a third party to monitor the implementation of the measures and the steps already initiated by Credit Suisse. In connection to the cases, some of them dating back to 2014, FINMA has actually investigated several banks in the last three years. Indian regulators, however, are not so benevolent when it comes to dealing with this kind of violations. The Reserve Bank of India (RBI) has recently imposed monetary penalties on three state-run banks which have failed to detect and report on time accounts associated with fraud. In early September, Indian media reported that the central bank has fined the Union Bank of India, Bank of India and Bank of Maharashtra 10 million rupee each (~$138,000). They have been accused of contravention of RBI’s instructions contained in a document titled Master Circular on Fraud – Classification and Reporting. According to the released separate statements, the penalties have been imposed under the provisions of the Indian Banking Regulation Act, taking into account the delay on the part of the banks to report fraud. Cryptocurrencies are often criticized for offering organized crime syndicates, terrorist organizations and rogue states the opportunity to transfer funds internationally and circumvent sanctions imposed by First World governments and international financial organizations. But as it has been revealed recently, banks have been also tempted to facilitate the needs of such actors. London-headquartered Standard Chartered is facing a new penalty for breaching sanctions against the Islamic Republic of Iran, Bloomberg reported in August. In 2012, the British bank paid a $667 million fine for allegedly moving billions of dollars through the United States on behalf of Iranian clients. This time, the US investigation into its Iranian dealings may lead to a criminal penalty, according to several unnamed sources familiar with the case. The resolution is expected by the end of the year. A number of American government and regulatory agencies are involved in the probe, including the US Justice Department, New York’s Department of Financial Services and the Manhattan District Attorney. In a statement, Standard Chartered said it’s fully cooperating with the investigation. What do you think about these cases of banks involved in money laundering and fraud schemes? Share your opinions in the comments section below. The post More Banks Sanctioned for AML, Fraud-Related Violations appeared first on Bitcoin News.